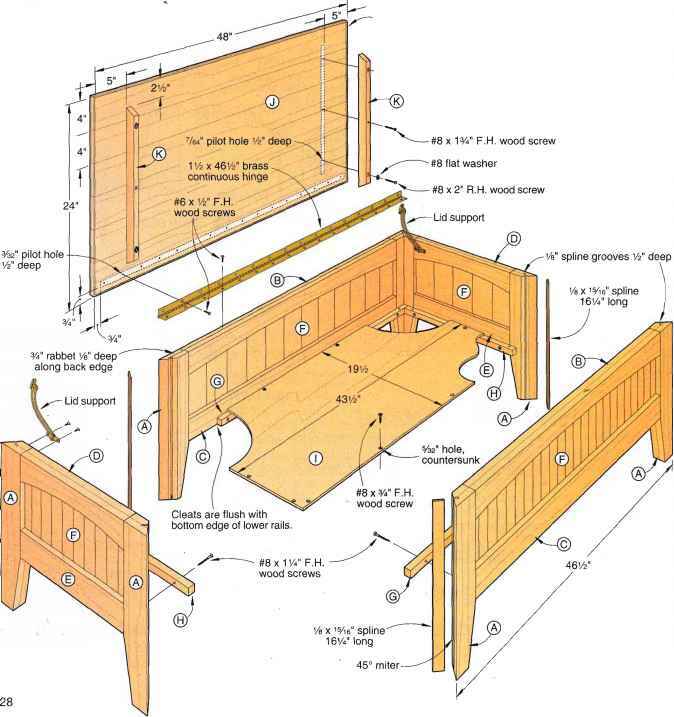 imagine that you could saw with a sliding table, shape, sand, rout, turn, or mortise a|! with one compact tabletop machine. Now you can — with a HEGNER MK4 Productivity Center. HEGNER: UniMax ™ - the ideal fretwork saw with UNIQUE features! Clamped to the drill-press table, this grooved piece of scrapwood holds dowels steady for horizontal drilling. Screw the shorter V-groove block to a support to drill straight down into the end of the dowel. When you bore holes in dowels, the dowels can roll around freely Here are two ways to hold them still. 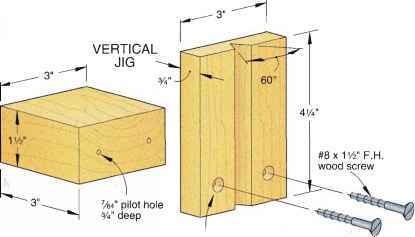 Both jigs rely on a V-groove that you cut into a piece of 3/4x3x20" scrapwood. 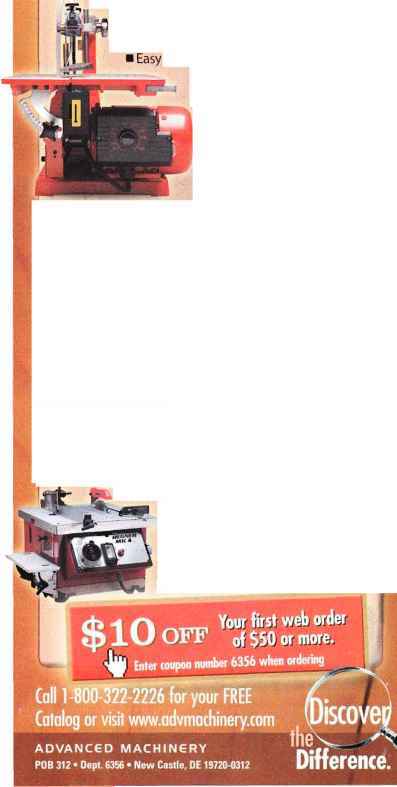 To cut the V, tilt the blade of your tablesaw to 30° from vertical, and set the cutting depth to 3A", as shown in the Cutting the V-Groove detail drawing. Adjust the fence to place the top of the cut on the centerline of the board. 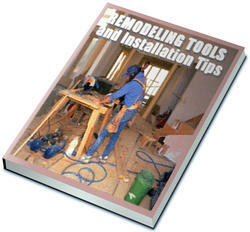 Make one pass over the saw blade, turn the board around, and run it through again, creating a 60° V-groove. Crosscut a 4'A" piece off one end. 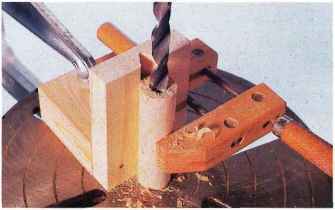 The longer piece holds your dowels flat on the table, as shown in the photo at top right. 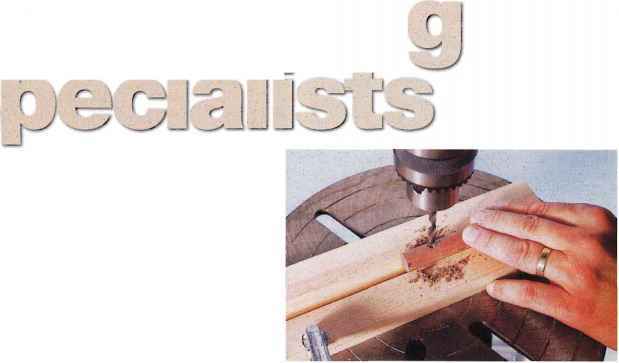 The shorter piece forms the basis for the second jig, which holds dowels vertically for drilling into their ends.